Tom Wiscombe is one of the pioneers of emergent architecture, which is rather obvious from his practice entitled “emergent architecture.” Lean more about him and his projects. “To fully understand Tom Wiscombe’s web of collaborations, design partnerships, and overlapping firms, one needs to consult a flowchart. Conveniently, Wiscombe provides a sort of high-design Venn diagram near the front of his portfolio as a way of explaining the maze. Wiscombe started his current career trajectory in 1992, when he graduated with a B.Arch. from the University of California, Berkeley, and more or less stumbled into a job at the Los Angeles office of Coop Himmelb(l)au. “They paid me almost nothing,” Wiscombe said. “I remember surviving on ramen noodles and driving an ex–cop car I picked up at a police auction.” But he rose quickly, and Wolf Prix gave him the opportunity to be the project designer in a competition for the UFA Cinema Center in Dresden, Germany. Coop Himmelb(l)au won the competition, and Wiscombe was given the position of senior designer in the firm’s offices in Vienna, Austria, while he worked on the project. In 1998, Wiscombe returned to the U.S. to study for his M.Arch. at the University of California, Los Angeles. “I needed the degree anyway, to eventually get licensed and teach,” Wiscombe said, “but for me, the more important thing was to cut the umbilical cord to the office and get into a mental space where I could begin to define my own work.” It was after Wiscombe’s graduation from UCLA in 1999 that his professional associations became tangled. To this day, for instance, he continues to work with Coop Himmelb(l)au on a project-by-project basis. When this cooperative is in effect, it goes by the name LA LAB and can involve not only the Vienna firm and Wiscombe, but also members of Emergent, which is a sort of hub organization that connects all of Wiscombe’s various projects. “Emergent is a kind of opportunistic arrangement,” Wiscombe said, “like a cellular slime mold, which is sometimes a single organism, sometimes spread out as multiple organisms, depending on environmental conditions.” For Emergent, those conditions are mainly economic, and the firm grows and shrinks accordingly, filling up with associate architects and interns, when projects require them. In addition to LA LAB and Emergent, Wiscombe also collaborates with the architect Kurt Sattler, in a partnership that they call General Dynamics*. Plus, Wiscombe teaches at both the Southern California Institute of Architecture and UCLA. Below we’ve collected various images from his site, definitely worth your time. As you guys can tell, Emergent’s work has a certain wow factor, yet no matter how progressive and unbelievable the shapes and forms, some of the interior shots have a realism to them that make you wish the spaces existed. Feel free to share your thoughts and favorites in the comments. Also check out our new post of Roland Snooks and Kokkugia, one of Tom’s collaborators in many of the projects above. What rendering programme was used for these renders, their amazing! not sure! but it seems that now a days VRAY is quite popular. It has plugins for virtually every modeling software included but not limited to Rhino 3d and 3DS Max. 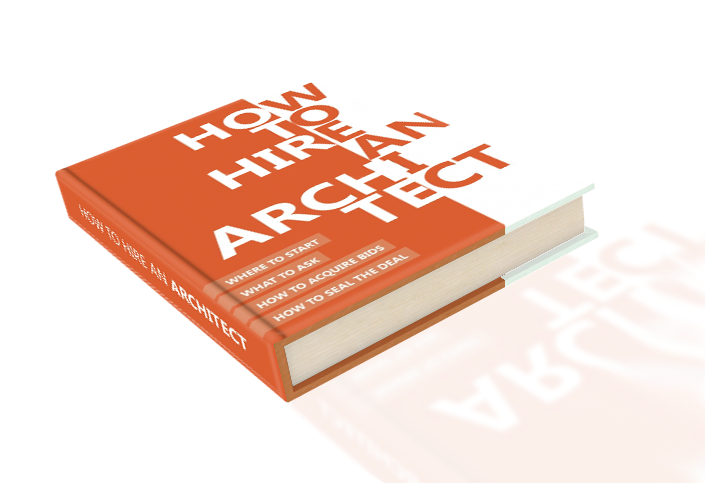 With the 8 tips in this guide, you will discover how to find the right architect for your design and for your budget.